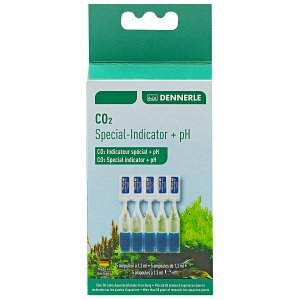 Permanent CO2 tests, also called drop checkers, are useful tools for the long-term monitoring of CO2 in the aquarium water. In aquascapes in particular and in planted tanks in general, CO2 levels ought to be between 20 and 30 mg/l in order to guarantee optimal plant growth. Especially designed permanent CO2 test solutions are filled into the drop checker. With their help, the CO2 content of the water can be monitored, as they change colour when certain levels of CO2 are reached. CO2 monitoring is a bit delayed, though, the drop checker needs approximately one to two hours until it shows the exact CO2 level of your tank water. 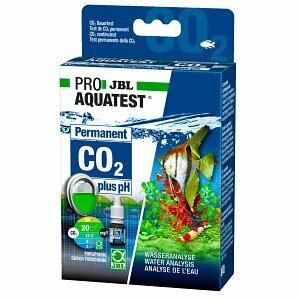 Permanent CO2 tests have the advantage of measuring CO2 concentrations independently from the aquarium water. Therefore, no other substances dissolved in the water like e.g. humic acids can interfere with the test results. Quite often, drop checkers are made of glass, which makes them almost invisible in an aquascape. 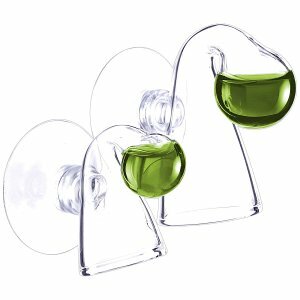 However, there are also permanent CO2 test housings made of white plastic, which enable the user to see the colour change better. However, they do not look as nice as those made of glass. If the plant aquarium is fertilized with carbon in the form of carbon dioxide. 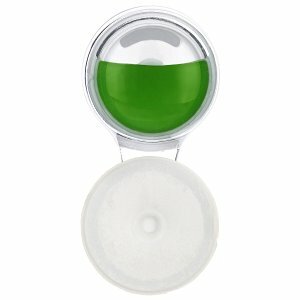 A drop checker is used to permanently monitor the CO2 content of the aquarium water. This permanent test consists of a test fluid, which is located inside a container. This container is usually made of glass or acrylic glass and is installed inside the aquarium. The test fluid is in no direct contact with the aquarium water. An air-filled channel is located between the test fluid and the aquarium water. CO2 dissolved in the aquarium water diffuses through this layer of air and reacts with the testing fluid, which indicates through its colour an optimal (green), too low (blue) or too high (yellow) CO2 content in the water. 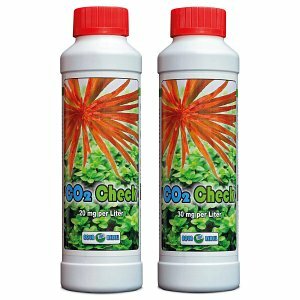 In an aquascape or in aquariums with many aquatic plants, concentrations of 20 to 30 mg / l CO2 are aimed at. 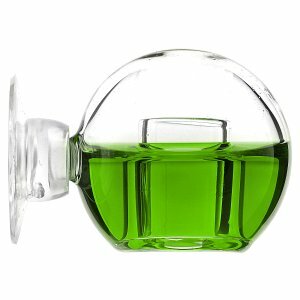 If the test reagent turns green, this content is reached. Please note that the liquid in the drop checker always indicates the CO2 with a time lag of several hours. 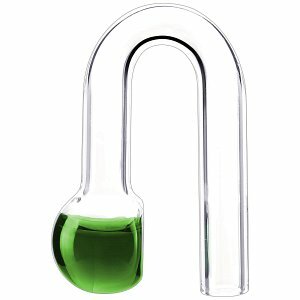 In order to combine the green hue with a certain CO2 concentration, the test liquids such as the Aqua Rebel CO2 Check 250 ml have a fixed carbonate hardness. A measurement of the CO2 content in this way is much more faithful than measuring directly in the aquarium water or calculating with CO2 conversion tables. In both cases, the pH of the water plays a role in determination - and the pH can be influenced, for example, by acids dissolved in the water or by humic substances! That makes these evaluations quite inaccurate. 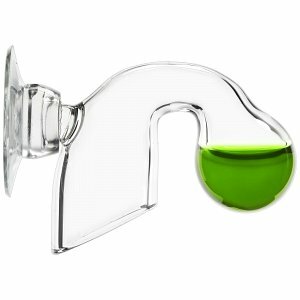 We offer a vast selection of drop checkers in our online shop. The required testing fluids can be purchased through our webshop as well. The checkers are made of either plastic or glass. Especially the glass checkers are very attractive and fit well into the overall look of an aquascape. You have trouble filling your drop checker? No problem, we have a guide for you in our Aquascaping Wiki.